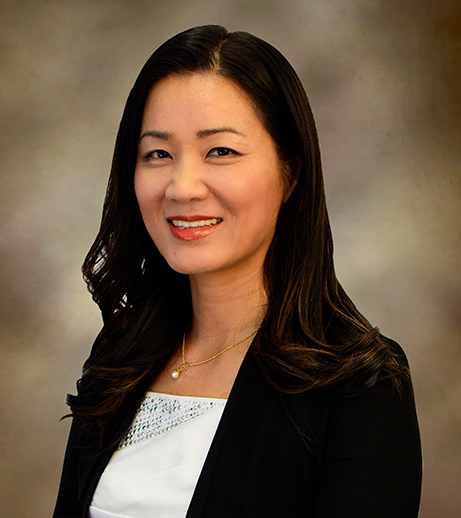 Dr. Ji-Won Son joins the Department of Learning and Instruction in August 2013. Prior to that, she spent 5 years as an Assistant professor of Mathematics Education at the University of Tennessee at Knoxville. Her research centers on the intersection of mathematics education and curriculum and instruction in K-12 contexts. The four main research interests she has developed are: (1) teacher noticing and learning (how pre-service and in-service teachers learn to interpret and respond to student thinking), (2) teacher's curricula noticing and use (how teachers read and use mathematical curriculum and textbooks), (3) mathematics textbook/task analysis (learning opportunities provided to students by curriculum resources), and (4) international comparative studies (whether there is any difference in students’ mathematical learning opportunities and teaching approaches among different countries). Recognizing the gaps between and among various types of curricula, she has looked for better ways to improve student and teacher learning, especially from a cross-cultural perspective, through her research. She is currently working on externally funded and internally funded research projects to identify the core mathematical knowledge and practice for teaching mathematics, especially focusing on algebraic and functional relations, and to improve all students’ mathematical understanding including under-represented students and emergent bilinguals, through project-based learning, storytelling-based approach, and history-infused curriculum. Son, J., Watanabe, T., & Lo, J.J. (Eds.) (2017). What matters? Research Trends in International Comparative Studies in Mathematics Education. New York: Springer. Clifford, A., & Son, J. (2018). Complete the what? : Learning from the history. Mathematics Teacher. I, J., Son, J., & Jung, H. (2018). Do social justice contexts matter in mathematical modeling: Modeling problem analysis. New England Mathematics Journal, LI(1), 50-61. Kwon, O. H., Son, J., & I, J. (2018, in press). Revisiting multiplication area models for whole numbers. The Mathematics Enthusiast, 15(3). Lim, W., Son, J., & Kim, D. (2018). Understanding preservice teacher skills to construct lesson plans. International Journal of Science and Mathematics Education. 61(3), 519-538. Son, J. (2016). Moving beyond a traditional algorithm in whole number subtraction: Preservice teachers' responses to a student's invented strategy. Educational Studies in Mathematics, 93(1), 105-129. Son, J. (2016). Preservice teachers’ responses and feedback type to students’ correct and incorrect strategies for subtracting whole numbers. Journal of Mathematical Behavior, 42, 49-48. Son, J., & Hu, Q. * (2016). The initial treatment of the concept of function in selected secondary mathematics textbooks in the US and China. International Journal of Mathematical Education in Science and Technology, 47(4), 505-530. Son, J., & Kim, O. (2016). Curriculum enactment patterns and associated factors from teachers' perspectives. Mathematics Education Research Journal, 28(4), 585-614. Son, J., & Lee, J. (2016). Preservice teachers’ understanding of fraction multiplication, representational knowledge, and computational skills. Mathematics Teacher Education and Development, 18(2), 5-28. Son, J. (2016). Preservice teachers’ responses and feedback type to students’ correct and incorrect strategies for subtracting whole numbers, Journal of Mathematical Behavior, 42, 49-48. Wolbert, R., Moore-Russo, D., & Son, J. (2016). Identifying students' transitional conceptions regarding bell curves. MathAMATYC Educator, 8(1), 15-23. Son, J., & Kim, O. (2015). Teachers' selection and enactment of mathematical problems from textbooks. Mathematics Education Research Journal, 27(4), 491-518. Han, S., Son, J., & Kang, C.* (2017). Examining the effect of teacher feedback over professional development on math instruction in Japan, Korea, Singapore, and the USA. In J. Son, T. Watanabe, & J.J. Lo. (Eds. ), What Matters? Research Trends in International Comparative Studies in Mathematics Education (pp. 355-383). New York: Springer. Han, S., Son, J., & Kang, C.* (2017). What do TIMSS studies show about math achievement inequality? From a comparative sociological perspective. In J. Son, T. Watanabe, & J.J. Lo. (Eds. ), What Matters? Research Trends in International Comparative Studies in Mathematics Education (pp. 289-314). New York: Springer. Lim, W., & Son, J. (2017). Cross-cultural lesson planning and narrowing the teaching gap between the U.S. and Korea. In J. Son, T. Watanabe, & J.J. Lo. (Eds. ), What Matters? Research Trends in International Comparative Studies in Mathematics Education (pp. 199-213). New York: Springer. Son, J., & Diletti, J. * (2017). What can we learn from textbook analysis? In J. Son, T. Watanabe, & J.J. Lo. (Eds. ), What Matters? Research Trends in International Comparative Studies in Mathematics Education (pp. 3-32). New York: Springer. Watanabe, T., Lo, J., & Son, J. (2017). Intended treatments of fractions and fraction operations in mathematics curriculum from Japan, Korea, and Taiwan. In J. Son, T. Watanabe, & J.J. Lo. (Eds. ), What Matters? Research Trends in International Comparative Studies in Mathematics Education (pp. 33-61). New York: Springer. Choi, K., Lee, K., Park, K., and Son, J. (2015). Development of instructional materials in Korea. In National Academies of Sciences, Engineering, and Medicine (Ed.). Mathematics Curriculum, Teacher Professionalism, and Supporting Policies in Korea and the United States: Summary of a Workshop (pp. 37-44). Washington, DC: The National Academies Press. Note: Author names are listed alphabetically and equal contribution. I, J., Jung, L., & Son, J. (2017). Developing criteria to design and assess mathematical modeling problems: From problems to social justice. To be appeared in Proceedings of the 39th Conference of the North American Chapter of the International Group for the Psychology of Mathematics Education. Indianapolis, IN: Indiana University. Kim, O., & Son, J. (2017). Preservice teachers’ recognition of affordances and limitations of curriculum resources. To be appeared in Proceedings of the 41st Annual Meeting of the International Group for the Psychology of Mathematics Education. Singapore. Son, J., & Jo, S. (2017). How Korean elementary mathematics textbooks develop inverse relations: Concreteness fading. To be appeared in Proceedings of the 39th Conference of the North American Chapter of the International Group for the Psychology of Mathematics Education. Indianapolis, IN: Indiana University. Son, J., & Lee, M. (2017). How pre-service teachers’ conception of problem posing relate to their problem posing competency with fraction operations. To be appeared in Proceedings of the 39th Conference of the North American Chapter of the International Group for the Psychology of Mathematics Education. Indianapolis, IN: Indiana University. Son, J., Jung, I., & I, J. (2017). How much do I know about mathematical modeling? To be appeared in Proceedings of the 39th Conference of the North American Chapter of the International Group for the Psychology of Mathematics Education. Indianapolis, IN: Indiana University. Son, J. (2016). Association between teacher feedback and math instruction in Japan, Korea, and Singapore, and the United States. In Proceedings of the 13th International Congress on Mathematics Education (ICMI-13). Hamburg, Germany: University of Hamburg. Hu, Q., Son, J., & Hodge, L. (2016). How algebra teachers in China and U.S. interpret and respond to student errors in solving quadratic equations. In Proceedings of the 38th Conference of the North American Chapter of the International Group for the Psychology of Mathematics Education. Tucson, AZ: University of Arizona. Son, J., & Lo, J., & Watanabe, T. (2015). Intended treatments of fractions, fraction addition and subtraction in mathematics curriculum from Japan, Korea, Taiwan, and US. To appear in Proceedings of the 37th Conference of the North American Chapter of the International Group for the Psychology of Mathematics Education, East Lansing, MI, Michigan State University.